After a long day of running down the road you start looking for a place to park your truck for the night. Today we’ve decided to tell you about the best places for drivers to have rest. 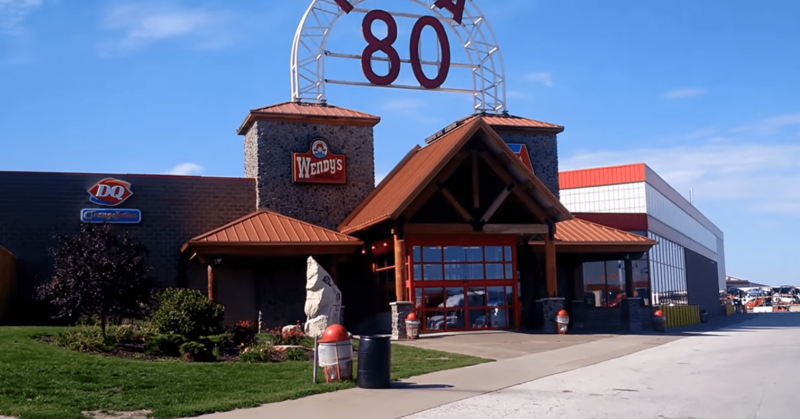 The largest truck stop in the world is Iowa 80 and might be the best place for truckers for a rest. It has a parking place for 900 trucks with 15 fuel stations. Here you can also find a service center for diagnostics, repair, oil change and tire rotation. The washing service is also available (for the engines as well). If you want to buy something there’s a huge two-story store where you can buy all that you can wish for. If you are hungry there are lots of food services – from salad bars to home-cooked dishes – a real foodie heaven. Among other facilities are shower and toilet rooms, a lounge area with leather chairs and a fireplace, a cinema, a hairdresser’s and even the dentist’s office and what is the most surprising – a chiropractic clinic. Gas stations – to fill up the tanks. Six restaurants where different meals to any taste are served. A motel – 300 rooms are available, if you want to stay overnight. A small entertainment park called Pedroland – with a small golf-course, an arcade, an observation wheel and a carousel. You can also visit a reptile exhibition here. Shops – to buy souvenirs and other stuff you need. And the most interesting thing – here you can go to an observation tower. The deck is made in the shape of a sombrero and the height is about 60m. 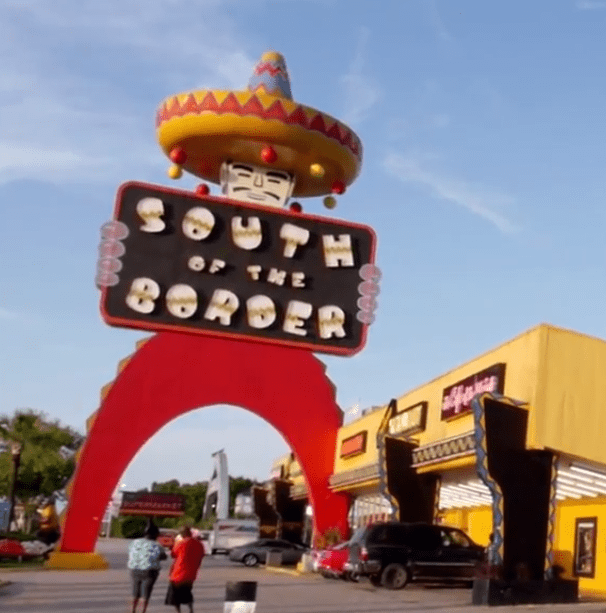 There is even a song where South of the Border is mentioned – Moonjock by Animal Collective. 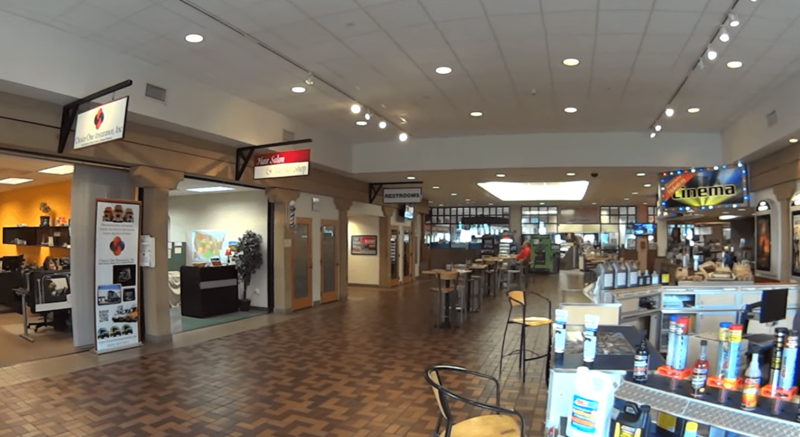 If you are tired after a long driving or you just want to stop and have a bite Jubitz Travel Center is for you. It is located in Portland, Oregon. The main facilities are – a parking place for 300 vehicles, 9 fuel lanes and diesel pumps, a 24-hour shop with all necessary stuff, restaurants with different dishes and even a small cinema for 80 viewers. Here you can also find a lounge area with leather chairs to relax in or you can play pool, watch TV and enjoy live music at the weekend.